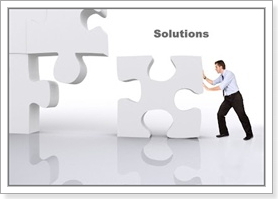 Nirvana Legal Solutions is one of the best settlement funding companies in America. We are a full-service settlement funding company offering legal loans and cash advances on settled insurance claims and personal injury lawsuits. The process is fast and easy. If you are searching for post settlement funding while you sit and wait for the money from your lawsuit settlement to arrive, Nirvana Legal Solutions can offer you a legal funding on your settled personal injury lawsuit or insurance claim in just 24 hours. At Nirvana Legal, we provide legal funding from $1,000 to $500,000. Sometimes, even after a lawsuit is settled, it can take a while until you receive payment from the insurance company or corporate defendant. 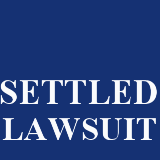 It's not unusual for the settlement process to take several weeks to months for the lawsuit plaintiff to receive their portion of the settlement check. The delay could be based upon the type of case they had, the number of plaintiffs, the amount of the settlement, or the terms of the settlement payout. 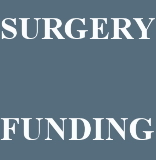 Post settlement funding put the money you deserve from your lawsuit in your hands now. We do what banks and traditional lenders can't do! We provide non-recourse lawsuit settlement loans against insurance claims and accident claims for auto accident lawsuit, bus accident lawsuit, slip and fall accident lawsuit, car accident lawsuit, construction accident lawsuit, tractor trailer accident lawsuit, motor vehicle accident lawsuit, and slip and fall accident lawsuit. Post settlement funding is not a conventional loan. Rather, post settlement funding is an accident cash advance on a settled lawsuit, civil judgement, or arbitration award. Since post settlement funding is a form of legal funding, there is no credit check, no up-front fees, no income requirements. 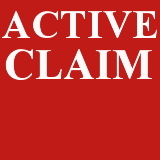 Furthermore, the lawsuit settlement funding is paid back from your lawsuit settlement once your attorney has received the settlement check from the insurance company or defendant. 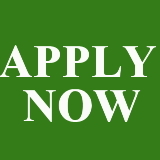 Apply today if your case has already settled and you are just waiting for the insurance settlement check or payment from the defendant. No one offers faster approval or lower rates than Nirvana. 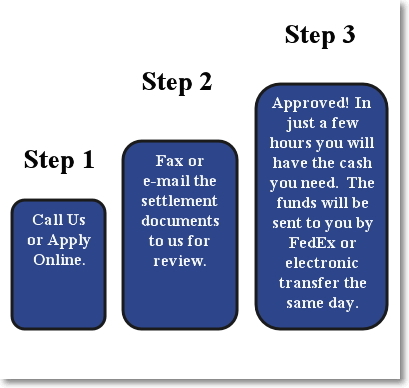 To get approved for post settlement funding today, simply call us or fax or e-mail us the necessary documents to us. All we require to process your request and approve you for post settlement funding are the closing documents and settlement paperwork, that's it! An lawsuit settlement funding is a cash advance from the time your case has been settled to the time the proceeds are received. 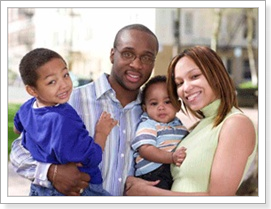 Unlike pre settlement funding, a post settlement loan is a lawsuit cash advance after a case has settled. Legal settlement funding can provide an injured accident victim with legal funding to pay their necessities while waiting for insurance settlement check. Nirvana Legal Solutions provides post settlement funding for most types of lawsuit. We have years of experience providing both post settlement funding and lawsuit settlement funding to personal injury lawsuit plaintiffs. We can get you immediate access to cash when you need it the most. As your rent, car payment, child care expenses, and mortgage continues to pile up, post settlement lawsuit funding can help to free up cash when your lawsuit settles but payment is delayed. If your attorney, has reached a settlement but has not yet received payment, we can arrange for a lawsuit settlement loans to lawsuit plaintiffs, for most settled case, regardless of the type of claim. If you have reached a settlement with the insurance company or if you successfully won a verdict or obtained an award from your personal injury case but have not yet received payment, post settlement funding through Nirvana Legal Solutions is the solution to your money worries. We provide post settlement funding in more than 40 states. Although our main office is in New York and we provide New York post settlement funding, we also specialize in Atlanta post settlement funding, Washington post settlement funding, Georgia post settlement funding, New Jersey post settlement funding, Pennsylvania post settlement funding, California post settlement funding, Texas post settlement funding, and Florida post settlement funding. Nirvana Legal Solutions has a great deal of experience in handling legal settlement funding throughout the United States. We are the first choice for insurance settlement funding, lawsuit settlement funding, and legal settlement funding. We offer competitive rates and 24 hour approvals. Remember, there is no obligation just for applying and there is no hidden fees. If you are searching for post settlement funding, start by applying online or call us at 1-888-715-8701. When you are approved, we will sent the money to you overnight or we will wire the funds to your bank account. It's that easy! The term loan and loans described in this website and the transactions described therein are assignment of rights to a portion of any future recovery from an injury claim, injury case, or lawsuit, whether settlement, judgement, or award. The lawsuit funding is paid back with fees only if you win or get money from lawsuit or claim. If your don't settle your injury case or if you don't get money for your lawsuit, the pre settlement loans is not repaid.